Gov. Ron DeSantis is OK after his aircraft was unexpectedly forced to land in Pinellas County. 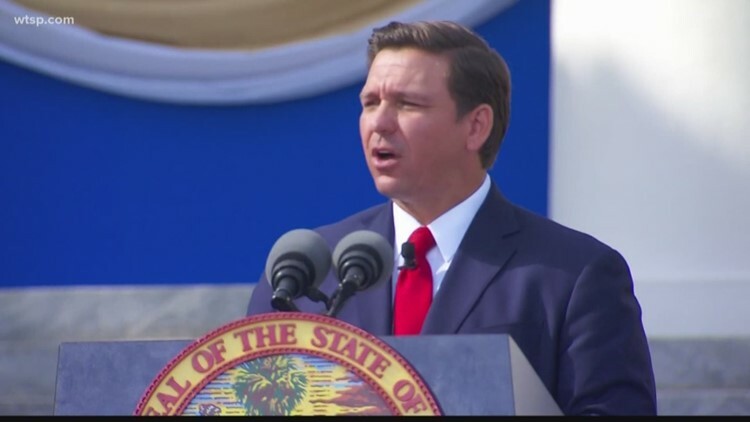 Governor Ron DeSantis' airplane was forced to make an emergency landing Friday afternoon in St. Petersburg, according to a spokesperson for the governor's office. The flight was on its way from Tallahassee to the Broward County Sheriff's Office, where he announced the suspension of Sheriff Scott Israel over criticism of the law enforcement agency's handling of the Feb. 14 shooting at Marjory Stoneman Douglas High School in Parkland, where 17 people died. Governor's office spokesperson David Vasquez said a mechanical issue was behind the emergency landing, but he could not elaborate on specifically what went wrong. Everyone on board the aircraft is fine, and the governor was able to arrive in Fort Lauderdale as planned in Friday afternoon. DeSantis was being accompanied by Attorney General Ashley Moody, his Chief of Staff Shane Strum and three members of his executive staff. The Associated Press said DeSantis was using a plane that belonged to the Florida Department of Law Enforcement and was seized during a drug bust.